Protesters attempting to disrupt 2017's Tour o' the Borders near Broughton. No action is to be taken against two farmers for trying to disrupt a major cycling event held on closed roads in the Borders just over a year ago. Police charged two men, aged 71 and 60, after participants in last September’s Tour o’ the Borders claimed they were confronted by protesters waving sticks. Last year's Tour o' the Borders. Cyclists alleged they were hit on their heads by the pair as they passed them, causing at least one to fall off his bike. There had been complaints from some landowners over the closure of public roads in Peeblesshire for the 74-mile challenge involving 2,000 cyclists while harvesting was under way. The procurator fiscal’s office at Selkirk has confirmed that, following a review of evidence, there will be no legal proceedings in connection with the incident. 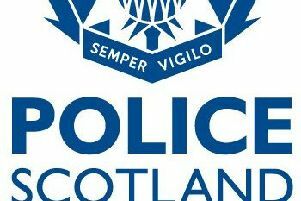 The incident was captured on a video showing two men dressed in tweed and flat caps waving sticks and attempting to block the path of the cyclists on the A701 Edinburgh-Dumfries road near Broughton. One cyclist said: “I came around the corner behind the first group of cyclists, and I noticed they had all slowed down. “I could see some weaving around, with other cyclists ahead, and noticed two older guys around 70 to 80 years old walking on the road. “I cycled up towards them and noticed they were both holding out big sticks. I asked them what has happened and was there a problem ahead? Their behaviour was branded “disgusting” by event organisers at the time and it was claimed one cyclist had to be taken to hospital after falling off his bike. However, this year’s Tour o’ the Borders three weeks ago passed off peacefully, with no further incidents reported. Event organiser Neil Dalgleish said: “We had already been involved in extensive consultation with local people to ensure there was minimum inconvenience. “Some people like to protest just to make a noise.